If your FTDI cannot be recognized by your computer, you can try to update the FTDI USB to serial driver to fix the issue. There are two ways to update the FTDI USB to serial driver. 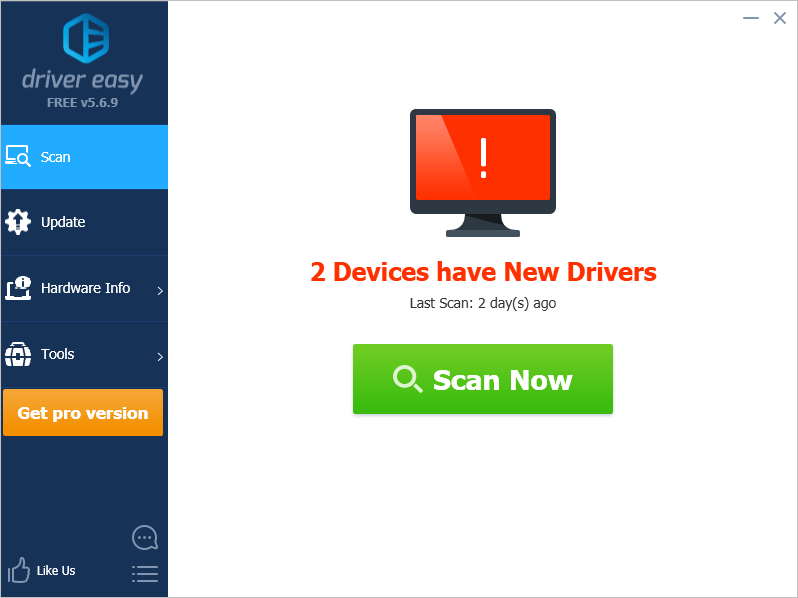 You can either of the ways to update the driver. 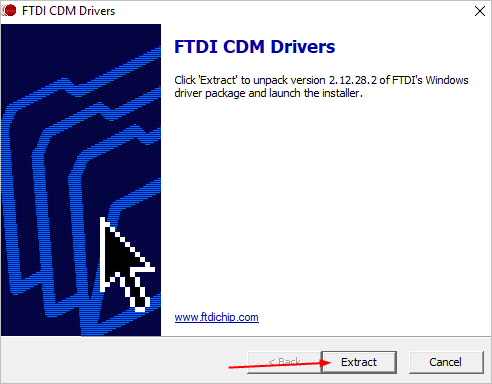 You can download the latest FTDI driver from FTDI official website. Following steps are for your reference how to download and install the driver from FTDI manufacturer. Note the steps will be different if their website is redesigned. 1. Go to the FTDI official website. 2. 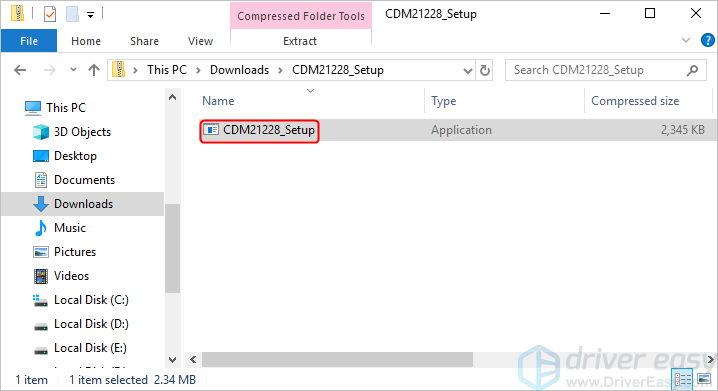 Locate the driver for Windows and click the setup executable to download the executable file. Note: If you click on the version name, you’ll get driver with .inf file which requires you to install the driver step by step through Device Manager. We don’t recommend you download this file unless you can’t use the executable file to install the driver successfully. 3. Double-click the downloaded file then double-click on the Setup file. 4. Click Extract then follow the on-screen instructions to install the driver. 5. After installing the driver, restart your computer and check to see if the FTDI USB to serial driver issue is resolved. If you don’t have the time or patience to manually download and install the FTDI USB to serial driver, you can do it automatically with Driver Easy. 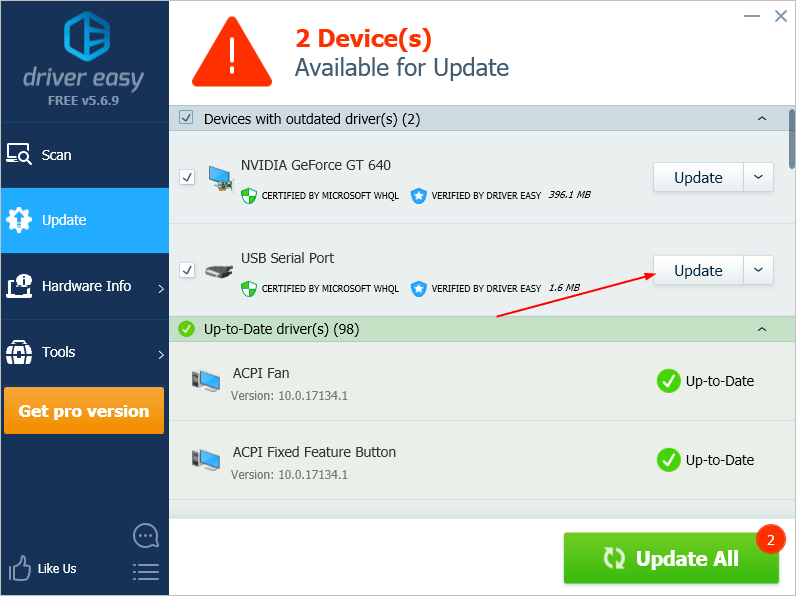 3) Click the Update button next to the flagged USB Serial Port device to automatically download the correct version of the driver, then you can manually install the driver (you can do this with the FREE version). 4) After updating the driver, restart your computer and check to see if the FTDI USB to serial driver issue is resolved.